Are you involved with e-Discovery (aka “electronic discovery”) as a consequence of litigation, regulatory audit or perhaps an internal investigation? Whether you’ve been hit by litigation or not, it’s important for messaging professionals to know about e-Discovery, and be prepared for it. Mimosa Systems, the Santa Clara-based archiving software company, has an e-Discovery guide that’s very well produced and fun to read. It actually makes the wrapped-in-legalese e-Discovery process interesting— a far cry from the scores of mundane publications and articles produced on the subject. Chances are after reading it you may even look forward to an e-Discovery request! 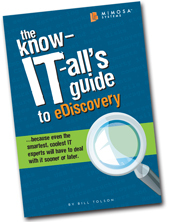 Head over to the Mimosa Systems web site to download The Know-IT-All’s Guide to eDiscovery. I am the author of the Know IT Alls Guide to eDiscovery mentioned on your blog. I wanted to thank you for the kind words. You saw my intent exactly. So many eDiscovery books are boring to read etc. so I wanted to create one with a sense of humor but still provide information that could be used. I am just finishing a new ebook targeted at eDiscovery for corporate legal departments. @Bill: You're welcome! 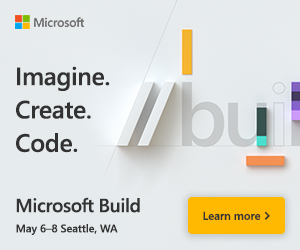 Look forward to seeing the ebook when you're done.